Grew up… she can’t remember. Yuki has lost all of her memories from before the age of 10. Her first memory is of the snowy night when she was attacked by a crazed vampire before being saved by another vampire, Kaname. Living… at Cross Academy, her private school. After finding Yuki alone, the headmaster took her in, raising her as his own daughter at his... “unique” academy. Unlike most schools, the academy is divided into two classes, Day Class and Night Class. Day Class is made up of regular students. Most of them don’t know that the glamorous Night Class students are actually vampires, and that the school was created to be a place where humans and vampires could peacefully co-mingle. Profession… student, andmember of the Disciplinary Committee. It’s Yuki’s job to make sure the vampires and humans don’t get into any unfortunate accidents. She’s also supposed to be attending classes, but staying up all night to patrol the grounds means that she often falls asleep during lectures. Interests… working toward the peaceful co-existence of humans and vampires. It's a physically challenging task, with Yuki occasionally fighting vampires and vampire hunters alike to protect the precarious peace of Cross Academy. Relationship Status… crushing on her childhood savior, Kaname. 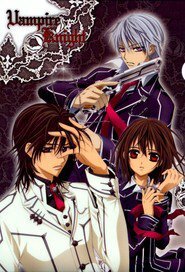 Kaname is the leader of the vampires, though, and Yuki knows that it wouldn't work out: “I long for him.... but I understand. There's a line that vampires and humans can't cross.” She also has feelings for Zero, another longtime friend, but his hatred of vampires clashes with her desire for peace. Challenge… keeping the peace. At Cross Academy, that means making sure Zero doesn’t kill any of the vampires and that none of the vampires hurt any of the humans. She also struggles to remember her childhood, wondering who she used to be. Personality… bold, athletic, and comedic. Yuki is outgoing most of the time, but she also struggles with insecurity. Much of that stems from her amnesia, but some of it's also from her love for both the vampire Kaname and the vampire-hunter Zero. But even if Yuki is uncertain about her own life, she’ll fight to protect Cross Academy and the possibility of peace between humans and vampires. Yuki Cross's popularity ranking on CharacTour is #439 out of 5,000+ characters. See our top-ranked characters and read their profiles.